Summary: Sixteen-year-old Starr Carter moves between two worlds: the poor black neighborhood where she lives and the fancy suburban prep school she attends. The uneasy balance between these worlds is shattered when Starr witnesses the fatal shooting of her childhood best friend, Khalil, at the hands of a police officer. Khalil was unarmed. 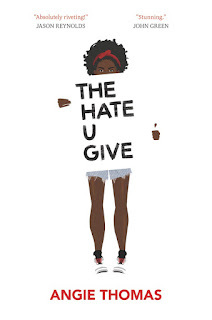 Review: Much like Margot, the protagonist in Lilliam Rivera's The Education of Margot Sanchez, Angie Thomas introduces readers to Starr Carter - a teen balancing life in the hood with her private prep school life. And almost coincidentally, Starr's father owns a grocery store, as does Margot's father. And both girls have down to earth and relatable mothers and overbearing, protective brothers. I read THUG first, but knew as soon as I picked up The Education that they would pair well because black and brown girls have similar struggles. Unlike Margot, Starr is sure of herself at school; she fits into that world. But back home in Garden Heights where everyone knows her as "Big Mav's daughter who works in the store," things are a little more difficult. She's not bougie, she just doesn't quite fit. She has a complicated relationship with Kenya, her brother's sister, but still finds herself at a party with her even though it's not her typical scene. Starr has been sheltered, and the party is a little more hood than she's used to. But running into her childhood friend, Khalil, makes it all worth while. Khalil and Starr have a bond that goes back to when they were much younger and innocent. At one point, Khalil, Starr and Natasha were like the three musketeers. Now Starr is the remaining musketeer. 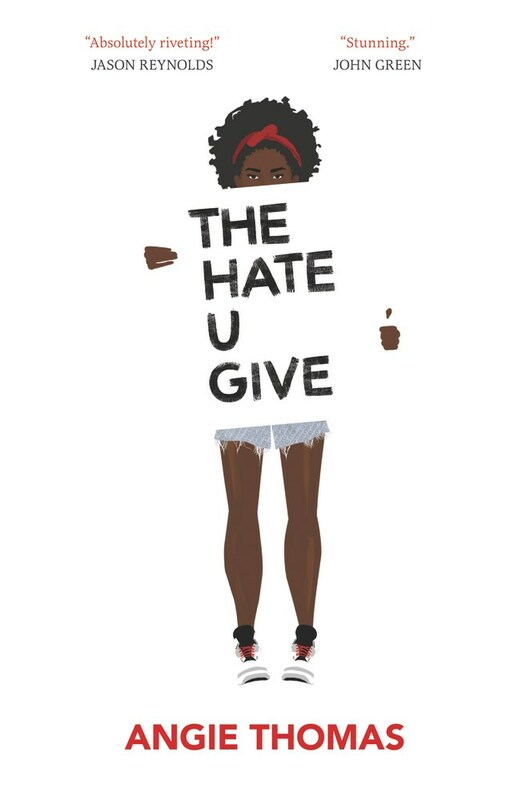 There's a lot to unpack as The Hate U Give follows Starr's struggle to comprehend how things went so wrong on the ride home from the party. If she says nothing when she hears her friends and classmates glossing over the latest "thug" to get killed by police, is she doing Khalil a disservice by not speaking up for him? Kenya calls her out for not speaking out on his behalf, but doing so could have repercussions for her family. There's a lot of pressure on Starr and she carries a lot of weight on her shoulders, much more than any child should have to. Angie Thomas is doing important work with THUG. It's rare that the voices of those that love the deceased are heard. When the Mike Browns, Trayvon Martins and Tamir Rices of the world are killed, the narrative we hear in the media is rarely the complete story and can, at times, be biased toward the killer instead of the victim. So it was refreshing to see Starr step up in a Rachel Jeantel kind of way and tell the world who Khalil was. In giving THUG to the world, Thomas dares readers to rethink how these victims are portrayed; and not just the victims but their loved ones and people protesting in the streets. I can't express enough how impactful I think this story is. I'd go so far to say that it should be required reading in schools, particularly those that are predominantly white or where the view people of color is through a filtered lens. It's important that people remember that victims of police killings are still human. Someone, somewhere loved them. They are someone's child, someone's sibling, someone's friend.